Is it easy to grow my own tobacco ? Yes, but the tobacco plants require only a little more care and attention than some other plants. Follow the very clear instructions provided with every pack of tobacco seeds, enhanced by feed back from existing customers, and your success is guaranteed. After your first crop of tobacco, the second will benefit from your experiences and the seeds will have acclimatised to your local soil. How do I grow these plants ? Tobacco seeds initially require temperatures of 70-80°F, so start growing them in a propogator. Alternatively, you can place a covered seed tray in a warm cupboard for 7 to 10 days. Once at the seedling stage, a recommended 55°F is required to bring them on. You may wish to transplant the seedlings into small pots and keep them indoors for this stage. For 10-12 weeks after this period, they are grown outside (in frost free conditions) as normal. Every pack of tobacco seeds comes with instructions which are designed for ease of use and are simple to follow. What type of soil do I need ? Most soils will suit your plants, with the exception of heavy clay which needs breaking up with peat. 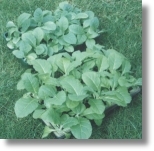 Tobacco even thrives on poor sandy soil where other plants often fail. Plenty of water must be available as tobacco plants are a thirsty crop. You will find that your second year's crop will adjust to your soil and conditions and often produce better tobacco. A soil area of approximately 1 metre by 8 metres will be able to sustain 50 plants, producing enough tobacco for well over 5,000 cigarettes. As mentioned, you will require a propagator, unless you have outdoor temperatures of 22°C to 27°C. You will also need land to plant out - your garden will do just fine. Ideally you could use a greenhouse for a simple, effective and inexpensive way to cure your tobacco. If you do not have a greenhouse, you can follow our instructions to build a curing chamber with a floor area of 1m², which cures 40lb tobacco in as little as 4 weeks. See our curing page for more information about curing chambers which can be scaled up or down depending on the size of your crop. Do climate and weather conditions matter ? The British climate is ideal for tobacco growth and hotter climates present no problem. However, much colder environments do run a risk of some crop failure, so please bear this in mind - Iceland be warned! If you take care with your first crop, then your second and successive crops should acclimatise to your local climate. In high wind areas the plants should be staked out, and in very wet areas plant on raised ridges to allow for drainage. The Icelandic flag can be seen on our About Us page. Determination can overcome all obstacles!